Metanor Resources — 1821 Design Studio. Strategy. Branding. Presentations. It's all here. Within the Québec mining sector, Metanor is well-placed to stand out from the pack. Through strong, pragmatic leadership and a steady flow of high-grade intercepts, it is time for Metanor to present itself as a technology-forward, crisp and measured player in Northern Quebec. 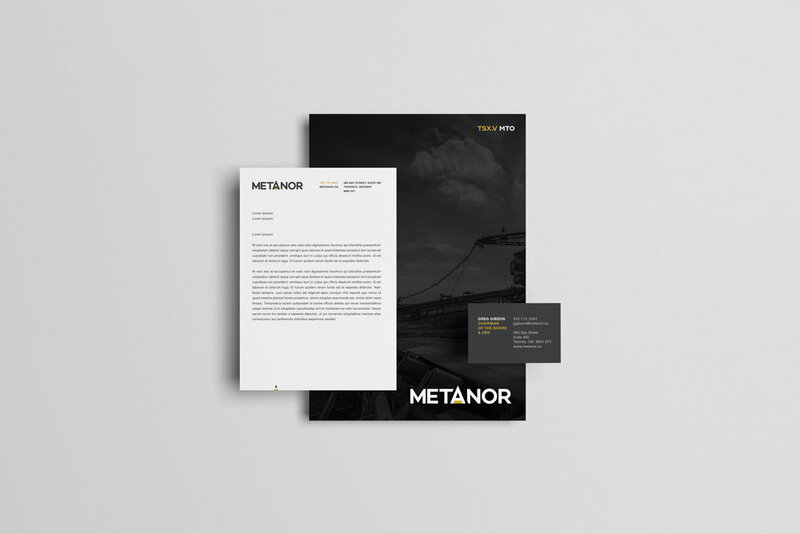 We worked with Metanor Leadership to develop a corporate identity that brought a modern and focused take on gold mining. Simple shapes, clean use of classic typefaces and a strong but modern colour palette allow this to be a brand that stands out amongst its peers.